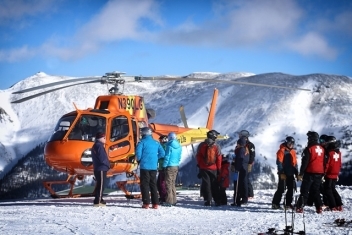 Copper Mountain Ski and Ride School Manager Mike McFarland shares key advice on how to ensure a successful experience for your beginner. Trying to wing it often leads to frustration and exhaustion for first-timers. A well-structured lesson introduces beginners to fundamental concepts before they ever start sliding on snow. The forest is a magical place. A place to get in touch with nature and forget about the outside world. While you’re probably familiar with hiking, biking, skiing and snowboarding, there’s a different way you can whisk through the trees: on an alpine coaster. My family has a ski cabin in Leadville, so I grew up skiing at Ski Cooper (and my dads backpack when he did hut trips). When I “graduated” from Ski Cooper at age eight, we began skiing at Copper Mountain. (This was before Super Bee and all the other lift “upgrades-” I remember when it used to be called B1 and B2.) I joined Junior Ski Patrol at Copper when I was 15 years old. Patrolling for ten seasons made me realize that hard work and commitment were necessary for success. I made some really close friends, and helped with some pretty traumatic events. Follow Kayla and her family at thislittlewandering.com or this.little.wandering on Instagram. I remember the first time I set eyes on newly opened Copper Mountain in the 70’s. We had just moved to Colorado and I was 12 years old, the first year my dad showed me how to buckle into stiff ski boots and dig into tight bindings with that satisfying c-l-i-c-k. I had a Copper Mountain lapel pin stuck into my snowball hat (no helmet then) and I still remember my giddy feeling as I stared up that beautiful mountain, loading onto the chairlift as the crisp, intoxicating scent of pine floated on the frigid air that stole my breath.